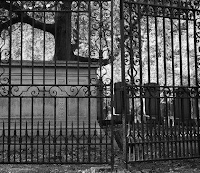 Haunted cemeteries are especially in vogue this time of year, but haunted mausoleums seem to be a major attraction any time. There’s something about this “house-type" structure that intrigues us, and then throw in a ghost or two, and we're hooked. 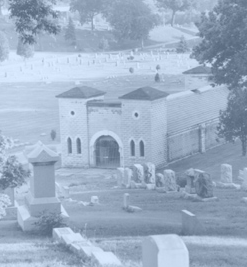 Here are four mausoleums that house more "spirit" than most. 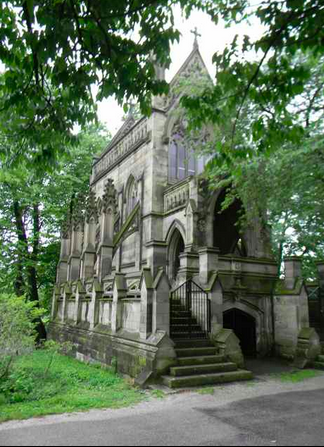 This mausoleum was built in 1869 for whiskey baron, Edmund Dexter, one of Cincinnati’s wealthiest residents in the mid-1800s. When Dexter died, he was laid to rest in this Gothic Revival mausoleum, which contains 12 marble crypts where four generations of the Dexter family are buried. Besides it’s claim of being haunted, it also boasts the only two flying buttresses in Cincinnati. The Public Mausoleum was built in 1908 but soon ran into trouble when leaks developed due to shoddy construction. The cemetery association soon ran out of money and ghost stories began to circulate as the grounds fell into disrepair. By the 1950’s, what had once been a beautiful, rural garden-style cemetery became a magnet for negativity. People reported hearing disembodied voices, crying and screaming coming from the mausoleum. By 1957, the building was declared unsafe and was closed. Family members were notified to relocate their loved ones. One hundred bodies were never claimed – some were never identified. Eventually the cemetery association buried them in common graves across from where the mausoleum had been. It was 1967 when the mausoleum was finally razed. Today that site is still vacant. 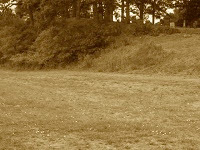 No burials have ever been made here, and there are still reports of voices along with lights seen wandering near the common graves – perhaps a lost soul searching for their remains? 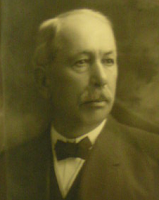 Martin Sheets was born in 1853 and lived into his early 70s. He saw many technological changes during that time, and one of the new-fangled inventions he found an odd use for was the telephone. Martin had one installed in the family mausoleum, just in case he was buried unconscious, but alive, and needed to summon help. It was stipulated in his will that a phone line be run from his crypt to the cemetery office. He then set up an account with Indiana Bell Telephone that kept the line paid for and active, just in case he ever needed it. 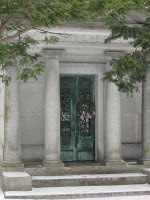 When Martin died, he was placed in the family mausoleum with his infant daughter. Several years later his wife Susan passed away. When family members found her, she was in the kitchen with the phone in her hand. They assumed she had been attempting to summon help. But according to legend, when the mausoleum was unlocked to place Susan’s casket next to her husband, cemetery workers discovered the phone in the crypt was off the hook! Coincidence … or a call to "come home?" 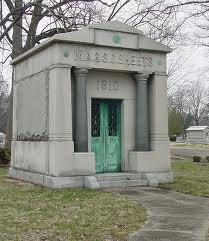 And then there’s my favorite haunted mausoleum tale - that of Stiffy Green. Terre Haute businessman John Heinl and his dog, Stiffy Green would stroll through town, visiting with the folks. Stiffy had received his name because of his stiff walking gait and green eyes, and everyone knew the pair. On December 31, 1920, John Heinl passed away. Stiffy was inconsolable. He sat be the coffin at the funeral and followed the family to the graveyard where he took up post at the mausoleum doors, and there he remained, guarding his master in death as he had guarded him in life. 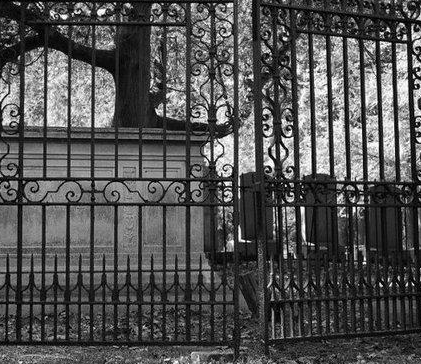 Family and friends made many trips to the cemetery that winter to retrieve Stiffy and take him home, only for him to return to his master’s crypt doors. Stiffy slowly mourned himself to death. Heinl’s wife was so touched that she paid tribute to his unwavering love and devotion by having him stuffed in the sitting position he had assumed for so long on those cold mausoleum steps. Stiffy was then placed inside the tomb, reunited at last with his master. 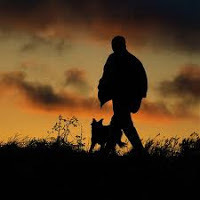 But rumors spread that just at twilight on autumn evenings, you can see an elderly man and his small dog walking near the Heinl crypt, the smell the rich pipe smoke wafts though the air, and a low voice can be heard talking to his devoted companion who answers him with a happy bark as they take another stroll together.